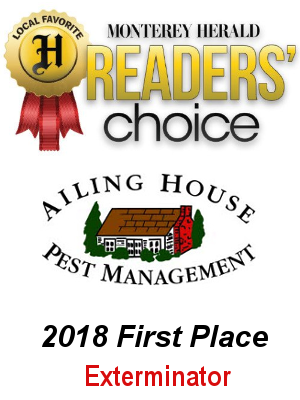 Contact Us for Pest Management Service in Carmel and throughout the Monterey Peninsula | Ailing House Pest Management, Inc.
Ailing House Pest Management, Inc.
"Carmel's Trusted Pest & Termite Inspection Control Service" in Carmel, CA and Surrounding Areas. Want to schedule a pest management service or need additional information? We are located in Carmel-By-The-Sea, on Mission St. and 8th Ave., at Heather Glen Court Units 1 & 2. Come on in…we are here to help. Thank you for voting for us. 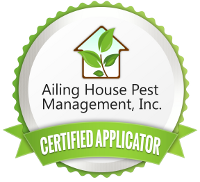 Ailing House Pest Management, Inc. offers FREE inspections and estimates upon request. As a full-service pest management service provider in Carmel, CA, we value your time. Whether you need: Residential Pest Control Service, Commercial Pest Control Service, Landscape Pest Control Service, Termite Inspection & Control Service, or Rodent Inspection & Control Service we encourage you to call. Carmel Valley, Carmel Highlands, as well as the cities of Pebble Beach, Pacific Grove, Monterey, Seaside, Marina, and Salinas. Check out our testimonials here along with our reviews and posts on Google+.